This newsletter covers the ongoing mid-Vaal crisis plus a lowveld report from Gordon O’Brien. Last month’s letter stated that FOSAF represented all flyfishers in testifying at the HRC Commission of Inquiry a couple of months ago. Part Two of the Commission takes place this Monday 21 November at the Johannesburg Mayor’s Chambers. The Mayor and Emfuleni Local Municipality will be amongst those called to make a representation. We will not be allowed to question the ELM, but we will be reviewing their submission and we will hand-deliver to the HRC the FOSAF written updated representation by 30 November. If any of you have facts, photos or experiences you would like us to include in the submission please send confidentially to my personal e-mail chris@williamsandwilliams.co.za. As the venue is only a km or so from the Klip River part of the professional focus was placed on the abhorrent conditions there. In particular, two of the top SA toxologists presented a scientific paper of the existing conditions and disease prevalent in the Vaal area and also of future probabilities of new diseases emanating from raw sewage, illegal pesticides, abattoir run-off, plastics (including micro beads) and pharmaceutical waste. We will shortly draw up a detailed report for all fly fishers. 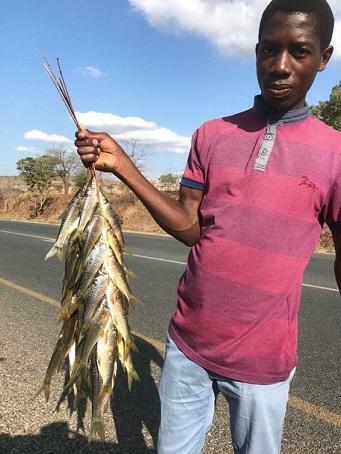 In the meantime, please heed scientific advice and be extremely careful when fishing the mid Vaal or similar waters and take suitable precautions. The toxologists backed up what we recommended. If you are fishing the mid Vaal, please check with the venue as to what their latest water sample results from their venue are so as to make your own mind up if you consider it safe or not. If they don’t already do this a couple of times a week, maybe suggest they call on reputable independent water labs such as Waterlab (012 349 1044) or Setpoint (011 923 7000). Their sample analysis reports will stand up in court. They usually charge about R20 per test and you or the venue must courier them your samples. Companies like Selectech (011 475 8565) can also do detailed reports on site and also sell Testing Kits. FOSAF Northern Region will be, subject to finance and volunteers, setting up a Citizen Scientist alliance for monitoring the Vaal River. This will have the full support and research of the relevant faculties at Wits and NWU to back us with independent scientific research. I am meeting on 20 November with some other Gauteng-based river environmentalist action groups to discuss sharing our efforts and information. The Citizen Science programme will be able to be replicated in other hotspot areas such as the Hennops River and in other affected river basins and catchment areas in the northern region – and hopefully nationwide. I sneaked off during and after the conference and and took photos of the Riet/Vaal confluence. The majority of the waste water/sewage treatment plants/pumping stations remain derelict and dangerous with broken fencing and raw sewage pools. However, two rays of hope. The SANDF are scheduled to appear from tomorrow onwards for a year at ELM to help clear up the human and nature enduced catastrophe, hence it will be useful to compare my yesterday's photos with what they get done by Christmas on the sewage problem. The sewage pumping station at the Klip River/Brandmuller Drive section was operated by a private company using a diesel generator. This has led to a decrease in the E.coli count in the vicinity. Several local volunteer resident groups (from all sectors of society) were also busy cleaning up plastic and garbage adjacent to both the Vaal and Klip Rivers – in the 36 degrees midday heat! The sustainable management of the use and protection of our water resources is a challenge! Historically we’ve spent a lot of resources to characterise our socio-ecological systems that we care about which has often resulted in more new questions rather than solve our problems. One of these new important questions is the socio-ecological importance of river connectivity and associated fish migrations regions of South Africa that have relatively high fish diversities, such as the lowveld. In the Crocodile River we have >50 species of fishes, many of which have migratory requirements and are targeted by communities for subsistence and commercial fisheries which makes a noticeable contribution to the livelihoods of these communities. The three yellowfishes that occur within the catchment, namely the Bushveld smallscale yellowfish, Lowveld largescale yellowfish and the Incomati chiselmouth, which is now considered to be a type of yellowfish, are all widely distributed throughout the catchment and used by people for food and targeted by fly-fishermen. We know that these fishes migrate, we have anecdotal evidence from their entire distribution, but we also have some new evidence that only some cohorts (specific age groups) of these populations may be migrating. We need more information! There are plans to continue to develop the water resources of the catchment without a suitable understanding of the socio-ecological consequences of the developments. We’ve learnt so much from what has already been developed and international experiences are contributing to our identification of impacts that we are not aware of. In this study we will be looking at the size, movement and spatial ecology of migratory fishes in the Lowveld. Yellowfish will as usually play and important role in the research. We look forward to giving you updates as the research gets underway from 2019! The judgement handed down in the High Court gave us good reason to cheer. The ministers of the DMR and the DEA (Yes, Evnironmental Affairs!) tried to permit coal mining on a large scale in a protected area probably to benefit a small elite and well-connected group. The judge had some scathing words to say about these politicians. Lowveld fishes - Photo by Gordon O’ Brien.